Performing in front of a global stage and releasing original music is the ultimate dream for many young, aspiring artists. It is also a dream which is becoming increasingly more difficult to achieve due to competitiveness of the entertainment industry and the requirement for more than just a finely tuned set of pipes. Music is constantly evolving, and today R&B is becoming progressively more popular due to the unique sounds, lyrics and personas blossoming within the genre. Authenticity has become the most valuable tool for artists to attract their audience’s and this is what 17-year-old American singer Zhavia has come to recognise and exhibit within a remarkably short amount of time. 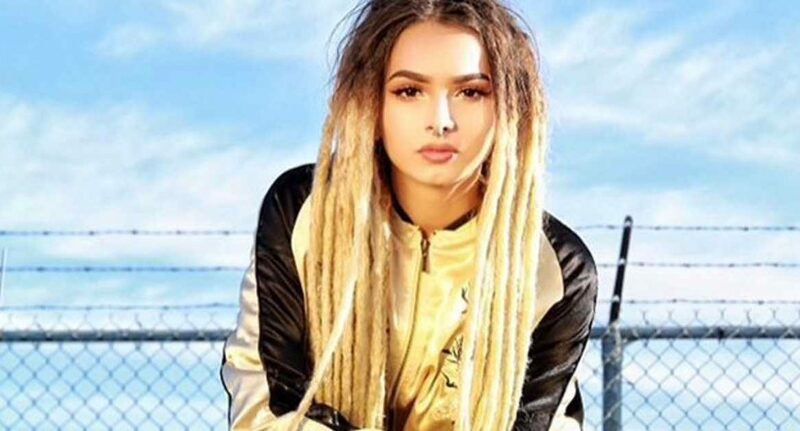 At only 16, Zhavia Ward captured the attention of a nation and more after first appearing on Season 1 of the American TV talent show, The Four: Battle for Stardom which first hit screens January this year. Walking out in front of four globally recognised artists, the young performer stood with the confidence of a performer beyond her years, making waves with for her beauty, colourful dreadlocks and unique style. Her rendition of Khalid’s Location and French Montana’s Unforgettable earned her a spot on the show – her attitude and individuality instantly making her a fan favourite and an early pick to take home the title. Zhavia on The Four. Source. DJ Khaled, known for some of the most distinct songs on today’s pop/R&B charts and one of the judges on The Four, credited Zhavia for her coolness and appealability to modern audiences stating, “you look, sound like, move like a young icon.” This is a nod to Zhavia’s influences, Post Malone and Wiz Khalifa – music which reflects both her age and contemporary demeanour. Her ability to draw in her target audience should also be credited – beginning her journey by posting YouTube videos, she recently collaborated with popular YouTube personality James Charles to perform covers and discuss self-expression regarding makeup and appearance as well as music. Zhavia’s ability to embody the evolution of music and challenge basic beauty standards have made her extremely relevant amongst young audiences. Her unique vocals and the texture she inserts into her covers and performances make her singing both recognisable and refreshing for listeners. Although Zhavia never won The Four, judge Charlie Walk commented, “I feel like I was listening to future,” and with an Instagram following of already 2.8 million, she has begun to inspire the next generation of musicians and performers. With each artist using the show as a platform to establish a wider audience and gain exposure for their music, Zhavia would come to receive more than any now 17 -year-old performer could ever anticipate within what is short period of time. Although The Four ‘s Evvie McKinney was signed to Republic Records after winning the show, Zhavia has recently signed her own potentially multi-million-dollar record deal with Sony Columbia records. This reflects what Sean ‘Diddy’ Combs had to say after the performer was eliminated during the show’s grand finale, “I promise you, you will be bigger because of the heart that you’ve shown, the commitment that you’ve shown, and the grace that you’ve shown”. Her most recent achievement was appearing on the official soundtrack for Marvel’s Deadpool 2 which was released in cinema’s last week has already raked in over 125 million dollars during it’s opening weekend. The song Welcome to the Party by French Montana, Diplo and Lil Pump features vocals by Zhavia and has received a lot of attention on the Billboard charts. The dubstep track is the first original record Zhavia has appeared and displays her impressive vocal range amongst alongside other artists who have in only recent years gained their own mass exposure. With promises of new music coming soon, her contribution to the Deadpool 2 soundtrack has ignited eagerness amongst fans and curiosity within the music community due to Zhavia’s age and her relevantly short time in the business. Although her credentials would suggest inexperience, her maturity and attitude towards music exemplifies her capability to flourish within what is a chaotic industry. With the release of music by similar artist’s such as Post Malone and Lil Xan, it’s never been more of an exciting time for modern R&B and rap this will only grow having a young, female artist making waves within the genre. Fans have now been left to consider many unanswered questions. What will her first album sound like? Who will she collaborate with next? Will dreadlocks suit me as well? All we know is Zhavia could be gearing up to potentially change the music game entirely. And are we really? Absolutely.